By most accounts Nintendo has had a bad year. Once next-gen consoles from Microsoft and Sony were released it was almost like the Wii U had been written off. The Japanese manufacturer, that paved the way to the living room console, even lowered the price for the Wii U by $50 to try and stay competitive. They also announced they may expand into health offerings and assorted random other things to try and “save the company”. Well if sales from the latest installment of the Mario Kart franchise, Mario Kart 8, are any indication, Nintendo still has some good fight left. At E3 Nintendo debuted Super Smash Brothers for the Wii U which is the first game to utilize the NFC feature that’s baked into the Wii U’s GamePad, tablet like controller. They also revealed plans for a new Zelda game and hinted that we could see a new Metroid game as well. While some may consider these kids games, these titles resonate with a distinct group of people between the ages of 25-40 who grew up with Nintendo and not Xbox 360 and Playstation 3. As for Mario Kart 8, Nintendo of America President Reggie Fils-Aime told Polygon that Mario Kart 8 has had “signifiant impact” on the status of the Wii U. He also said that the attachment rate was the highest that the series has ever seen and even after the first weekend it’s still as high as 18%. 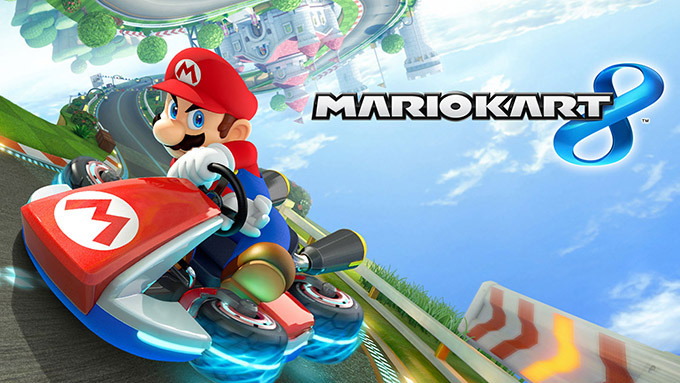 Mario Kart 8 is available as a stand alone or in a Mario Kart 8 exclusive bundle pack which includes the Wii U game console, game pad and a steering wheel.